LONDON (Reuters) - Scientists have identified chemical markers in urine that are linked to body mass, offering clues about why people who are obese are more likely to develop illnesses such as cancer, stroke, diabetes and heart disease. The findings may also help researchers identify people who have a so-called "metabolic signature" for obesity but are not overweight, the scientists said, suggesting ways could be found to prevent them developing obesity and other metabolic diseases. 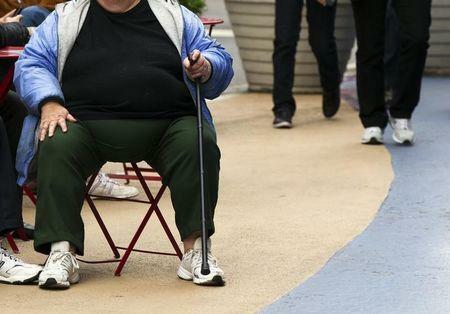 According to World Health Organization (WHO) data, 13 percent of adults worldwide were obese in 2014. Some 42 million children under the age of five were overweight or obese in 2013. Urine contains various chemicals known as metabolites that come from a range of biochemical processes in the body. Thanks to technologies that can analyze the metabolic content of a urine sample, scientists can extract lots of information reflecting a person's genetic makeup and lifestyle. For this study, published in the journal Science Translational Medicine, scientists led by a team at Imperial College London analyzed urine samples from more than 2,000 volunteers in the United States and Britain. They found 29 different metabolic products whose levels correlated with the person's body mass index. Some of these metabolites are produced by bacteria that live in the gut, the researchers said, highlighting the potentially important role they play in obesity. "Our results point to patterns of metabolic markers in the urine associated with obesity," said Paul Elliott of Imperial's epidemiology and biostatistics department, who co-led the study. "It may be possible to identify non-obese people who have such patterns in their urine profile. These people could be at risk of developing obesity and metabolic diseases, and might benefit from personalized preventative interventions."